I love tasting dark chocolate bars with two or three ingredients. 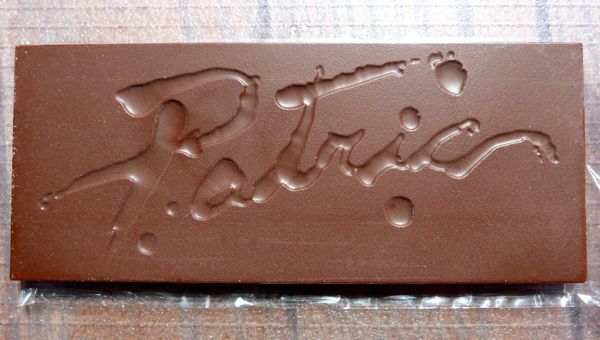 This is gutsy chocolate making! Those two or three ingredients have to be good. 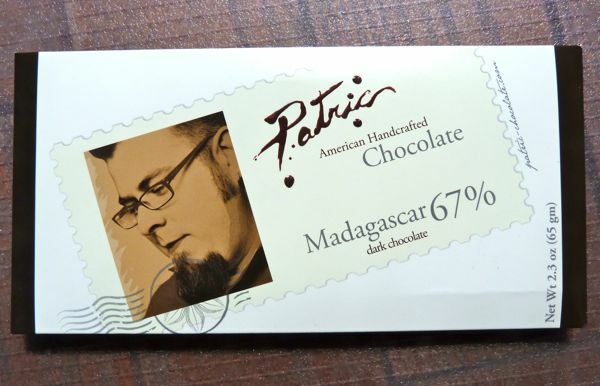 Fortunately, Alan "Patric" McClure of Patric Chocolate is a talented new American chocolate maker, and he has crafted an interesting 67% cacao dark bar from Madagascar beans. The bar had some of the characteristic of acidic/citrus fruits, maybe a bit of ripe blueberry that are often associated with beans from this part of the world. Today was Day #6 of Madagascar Chocolate Theme Week.